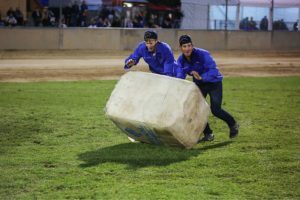 The Australian Young Farmer Challenge showcases the depth of knowledge and technical skills required in Agriculture today and celebrates the involvement of young people in the industry. It is an engaging, entertaining and fast paced event showcasing the talents of the modern day farmer. The competition involves teams of four competing in a series of skills-based tasks related to Agriculture with a strong emphasis on technique and safety. Check out the Australian Young Farmers Challenge website for more info! The Wodonga Show YFC will be run by Leon and Rhiannon from Ag Skills Victoria. Check out their Facebook page below!